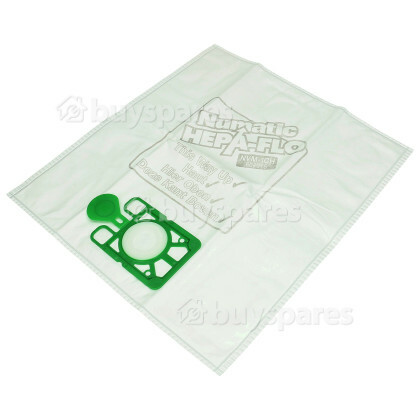 Vacuuming is often a daily chore, and you can help to ensure an excellent cleaning performance from your Numatic vacuum with this pack of NVM-1CH 3 Layer Hepaflo Filter Dust Bags! 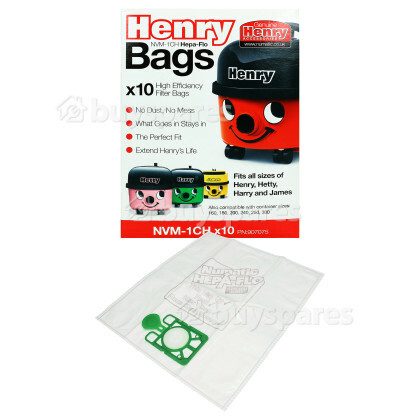 On average it is recommended to change the bag in your vacuum on a monthly basis, but for larger households that contain pets and many carpets, the vacuum bag may not last the full month. If you notice that your existing dust bag has split, then a small dust cloud will begin blowing out of the vacuum's exhaust. This means it is certainly time to replace the bag. 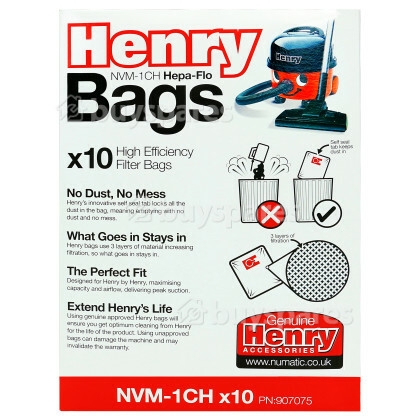 The ten cloth dust bags included in this pack are made from 3 layers of Hepaflo material that will help improve cleaning standards, giving you a professional clean every time. Featuring Hepa-Flo technology, these bags are up to 14 times more efficient than regular paper bags in retaining fine dust, and also offers 30% improved filtration too. 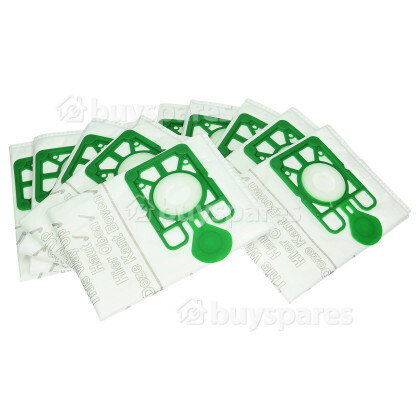 A handy plastic collar at the top of the bags will stop you making a mess when you're taking the full bag out, and thanks to their strong construction they are less likely to tear when you are doing so. 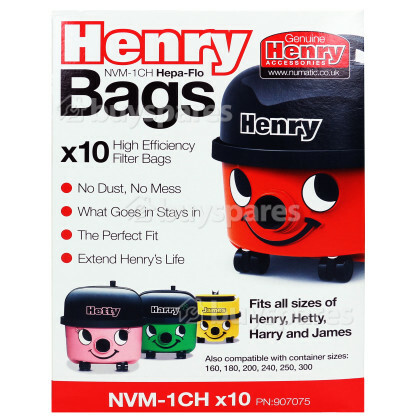 Suitable for most Henry, Hetty, Harry and James models. Also compatible with container sizes: 160, 180, 200, 240, 250, and 300. 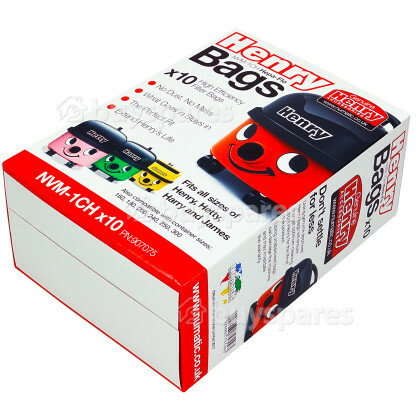 Please check the list of suitable models to ensure that these bags will fit your vacuum cleaner.